Sharp, throbbing, and/or constant pain in the tooth. Foul-tasting drainage from the tooth. WebMD has a full list of symptoms, if you would like to know more. When should I see my dentist about my toothache? The pain persists for more than a day or two. There are any signs or symptoms of infection. Call 9-1-1 if you have any trouble breathing or swallowing. 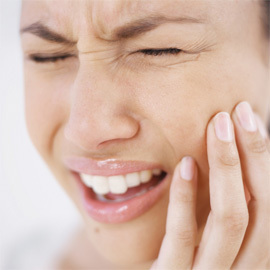 The Mayo Clinic has a full guide for first-aid steps to take when you have a toothache. A prior injury to the area. Infection in a tooth or the gums. So how is a toothache treated? A toothache is treated by finding out the source(s) of the pain and treating the source(s) individually. If sensitivity to hot and cold is causing your pain, simply changing your toothpaste may help. Or if a cavity is causing it, we will remove the cavity. In more severe cases, an abscessed tooth may be the cause of your pain. In that case, we may need to perform a root canal or remove the tooth. What can I do to alleviate my pain? Rinse out your mouth with warm or hot salt water. Use a pain-reliever such as ibuprofen or acetaminophen. For more suggestions, you can read this list of home remedies from Health Line. If you are experiencing a toothache, contact us for an appointment, so that we are able to determine the cause of your pain and decide the best plan of action for your teeth.